Android winning in China, Nokia "dying much faster than expected"
China is probably the most important developing market in the world, if only because of the huge number of subscribers in the Asian country, but while smartphone adoption was initially slow, the mobile revolution is quickly catching up. Apple has already admitted that China is a key market for the company, and the Apple Store expansion plan over there proves that. But if we are to believe Wang Hua of Innovation Works, John Lagerling, Director of Android Global Partnerships at Google, and David Chao of DCM, it’s Android that’s really starting to get traction. There are over 40 million Android smartphones active in China and the country ranks third in terms of SDK downloads. And it’s not just smartphones, there’s an explosion of Android-based tablets in China and we can imagine that all of those tablet manufacturers will quickly switch to Android 4.0 Ice Cream Sandwich as soon as it gets open sourced. Currently, the majority of China-made Android tablets run on Gingerbread. While Android is booming, though, traditionally well known brands like Nokia are fading away quicker than expected. “Nokia is dying much faster than we expected,” said Hua. This is a natural thing. People in all walks of life love options & this holds true in the most populous country in the world China. 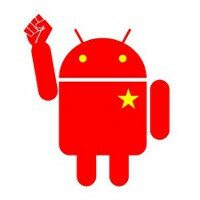 Android is capturing the world & China is no different. People see what Android offers compared to other OS's & is always coming on top. The raw data states Android is the #1 smart phone OS in the world. Anyone who tries Android more than likely falls for Android. Android 4.0 Ice Cream Sandwich will make EVEN more people switch. Android has the pedal to the metal. This is GREAT for Android. Nokia will not fade though, Windows Phone 7 Mango is the real deal, Apollo will make WP7 a house hold name & take a huge bite out of iOS's market share. Nokia WILL bounce back! While I do think Android is a fantastic mobile OS...you have to also take into consideration that people buy Android smartphones because there are a lot of lower end options as far as hardware goes. There are some folks who buy Android for the price more than the function. Just like people buy the iPhone because it has that symbol on the back...not because the phone does something magical for them. Android will always be on top because there are so many varieties and flavors of Android...which is good because there is choice. That's how Microsoft became the giant they are. But that doesn't speak of quality or why people buy them. And I don't want that to come off as a diss on Android. It's just most consumers aren't nerds...or well informed about technology they are buying. I'll mention aswell a lot of the people who buy Andros buy for specs yes they do offer budget phones but in terms of tech specs and the need for the best the market currently offers Android offers those high end phones to tickle those consumers. Take into consideration most out the people who are Android fans who actually post on this forum aren't rocking cricket Android phones.. If that makes sense lol. So in a sense you're saying people buy IPhones because they are misinformed and the commercials tell them to regardless of tech specs. granted I've used both Android and iPhone and can only express my own opinions id have to say Android brings a equal if not superior experience to the table. I left my iPhone 4 behind when Apple fell behind the curve.. More expensive phones for one that just isn't up to par in just a few years look at the improvement of Android (I used an og Droid for a while) compare that to the newer phones ie sg2 our bionic.. Upcoming phones like the Razr Or prime.. Majority of consumers actually knowing bench marks are and what tech specs mean are on the rise. Not saying Apple won't keep up but at a glance it seems like they are forgetting how to innovate. Stuck in a playground a few years ago they were the big dogs on campus and now that the other kids are grown up and can put up a fight in my opinion they are just relying to much on refreshing old tech to stay afloat. working in the industry, i feel its a great week if i get 2 customers that actually know anything about the products and what all the stuff they are spouting about.. actually means. I think there might be 2 customers off the top of my head that come anywhere near my knowledge base. So, long story short, what Jeff is saying in that regard, is quite true. That's exactly what I'm saying. The general public is very often misinformed or ignorant to technology as a whole. They love numbers and tech specs, but have no idea what they actually mean or how it works in their lives. That's for Android and iOS alike. China the land of illegal pirating and cheap knockoffs uses the os which is just a copy of ios. Figures when i saw the knockoff apple store i knew they were up to no good. I am just kidding : ). There needed to be a fanboy post here right? O well for real now this is great for android they are all about market share and getting the most people possible to increase google searches and ads. Thy are doing a great job cant wait till ice cream sandwhich. The really funny thing is even though we are having this whole conversation about how i am just joking i still will get thumbed down and have some guy read the first two sentences and will go an angry rant. Just sit back relax and get your popcorn ready this shall be funny. Where is taco anyways... You would assume any good news for Android and he would come running to troll this post. You know what? I have to agree with you. There are some people that are conditioned to react first & finish the post after. It’s just a matter of time before you get your first thumbs down. lol Ohh & just so you know I put some pop corn in the microwave! This will be funny! LOL!! Yeah, I suspect you most likely will get a thumbs down but for extra measure I gave you a thumbs up ;-) There u go! Had me going for a sec I'm like wtf serious.. No need for more Android/Apple flaming in this post lol. Lol u got me there bud! April 2014... Google became self aware and the purge of humanity began. unfortunately Apple became self aware in 2012. One too many snarky canned responces sent Siri over the edge. the G-man became self aware after loading siri files into its search engines and now fights for humanities survival. An army of mindless snarky ibots fights to enslave humanity. A rag tag but large group of people behind the G-man fights back for survival.